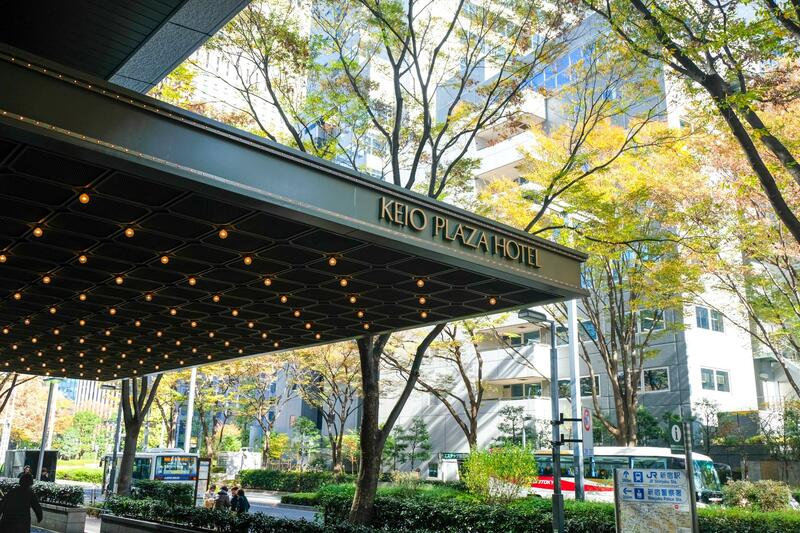 Keio Plaza Hotel Review - Why this is the best hotel in Tokyo! 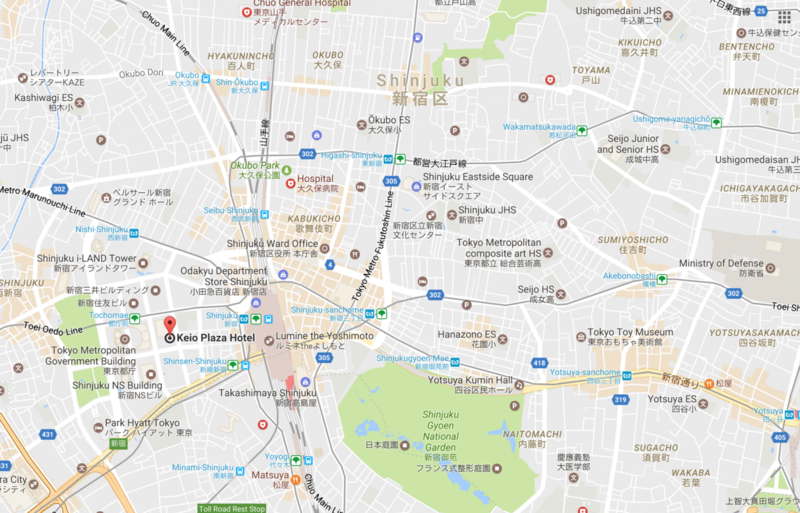 Visiting Tokyo and not sure where to stay? 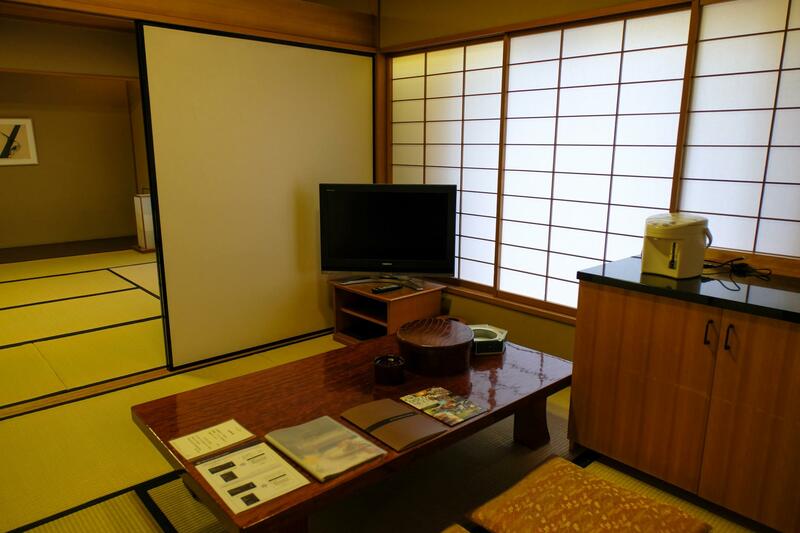 Here is my complete Keio Plaza Hotel Review and why I highly recommend booking a night here. First of all, our room was a Standard Western Twin Room (two twin beds). 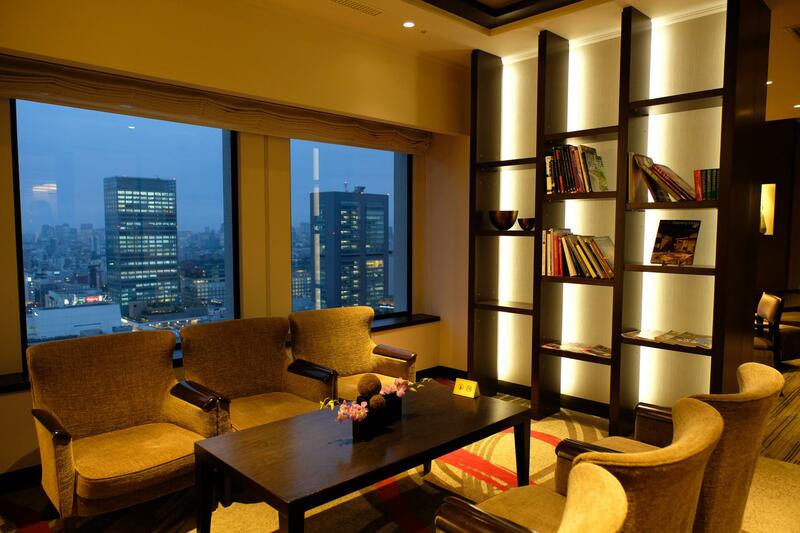 Depending on the season and package, rates can vary between JYP 25,000/night ($288 CAD) to around JYP 55,000/night ($630). 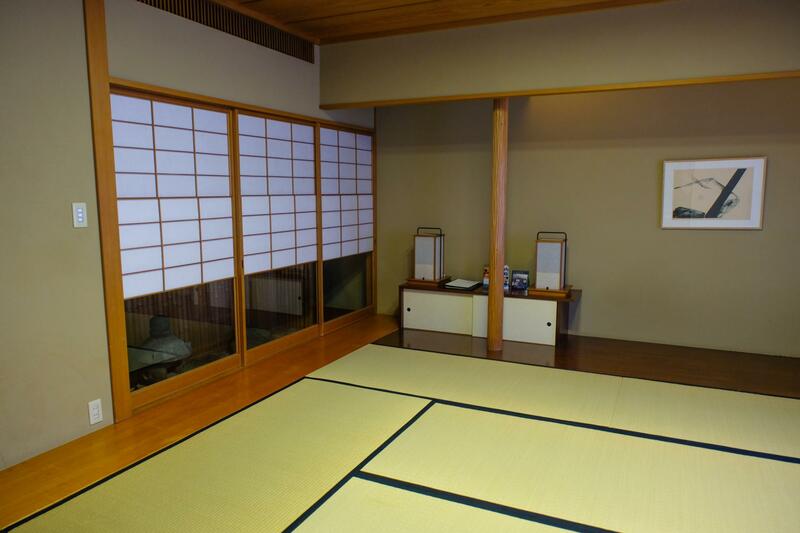 In addition to Western rooms, Keio also offers traditional tatami rooms where instead of regular mattresses, guests can experience sleeping on Japanese futons. 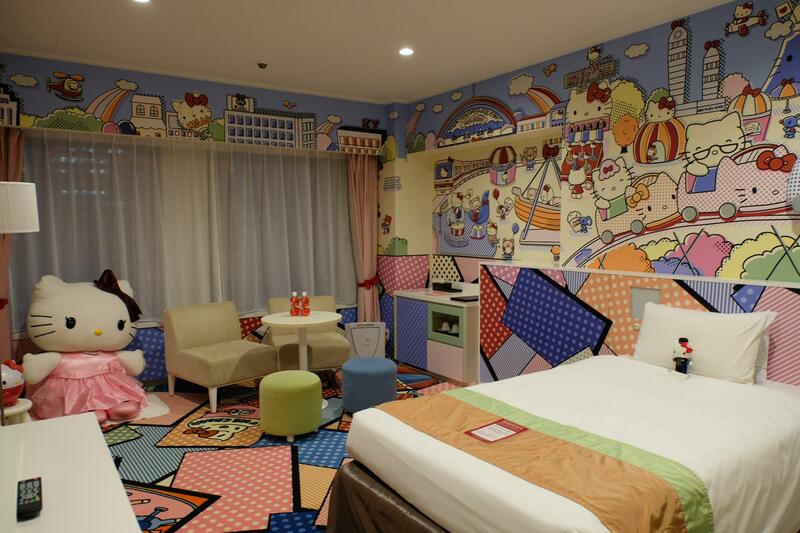 Hello Kitty themed rooms! Yes, that’s right! For those of you Sanrio lovers, this just might be your paradise! These rooms are completely decked out in Hello Kitty decor – everything from the carpet, the wallpapers, the sofas/chairs to even the washrooms. This most certainly will fulfill your fantasy of living in Hello Kitty Wonderland. 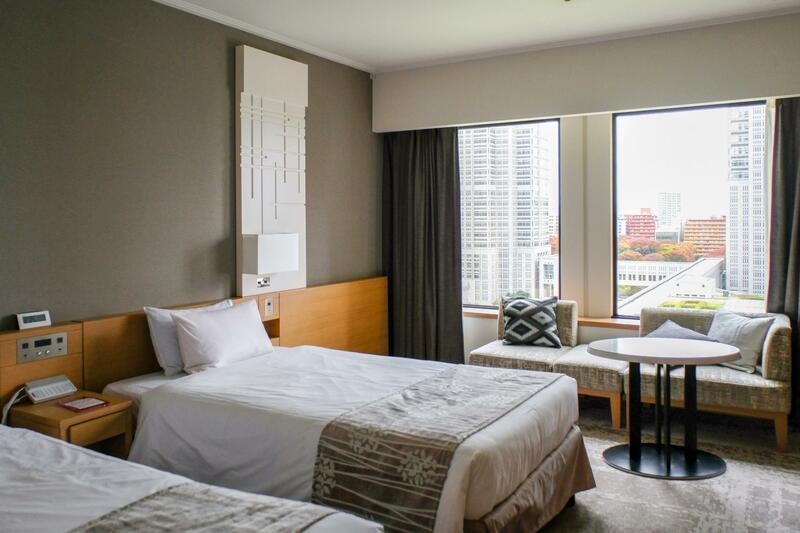 Apart from the options mentioned above, if you are traveling with friends or with family and would all like to stay in one room together, the 4 Bedded Rooms are perfect. Despite the fact that you’re all sharing a room together, it’s actually not crowed at all. 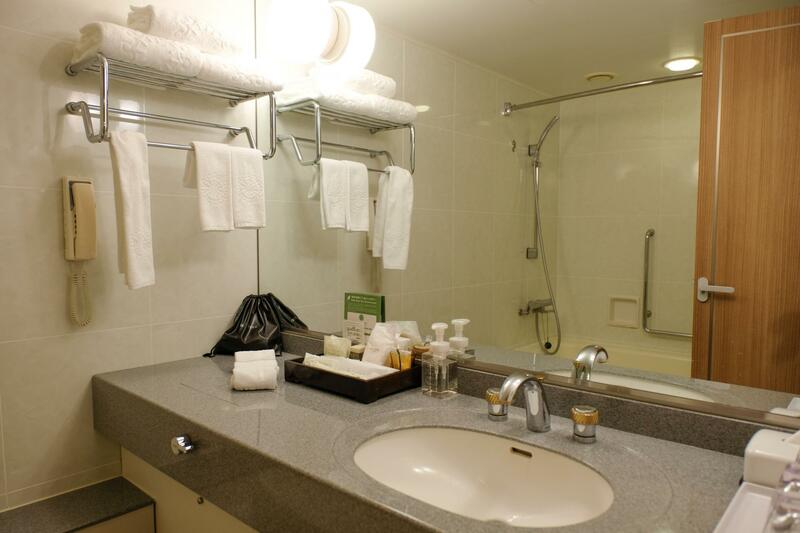 Not only do you get your own bed, each room has 2 bathrooms as well. In this case, there’s no need to fight for the washroom every morning! A great thing about Keio is how accommodating they are. They have what’s called a Universal Room for those who are are physically disabled. The beds can recline electrically, the chairs are electric, the closet has a lowered bar, the bathroom is equipped with grab bars and slip-proofs mats… They really do go above and beyond to cater to their customers’ needs and this truly does bring traveling to a whole new level for those with mobility impairments. 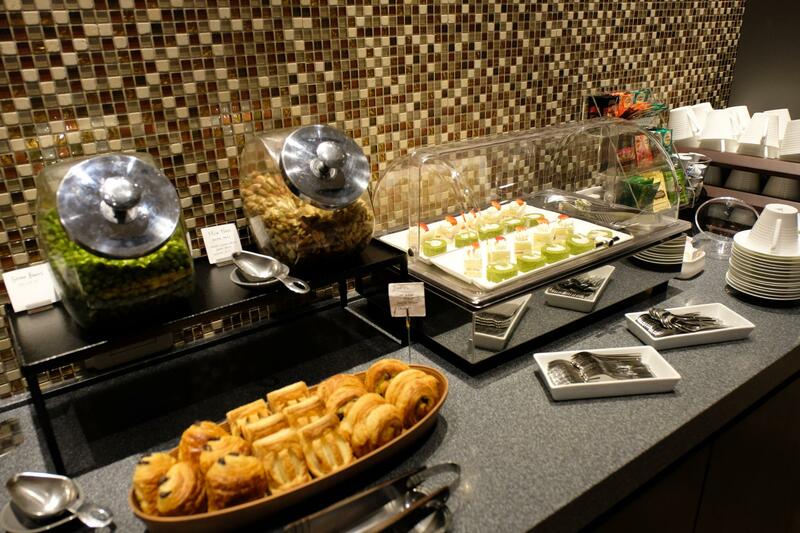 Besides the wide array of room options, Keio also has a large selection of dining choices. Japanese teppan-yaki, kaiseki cuisine, French, Italian, Chinese, Korean, you name it! Unfortunately, our trip was a little short. 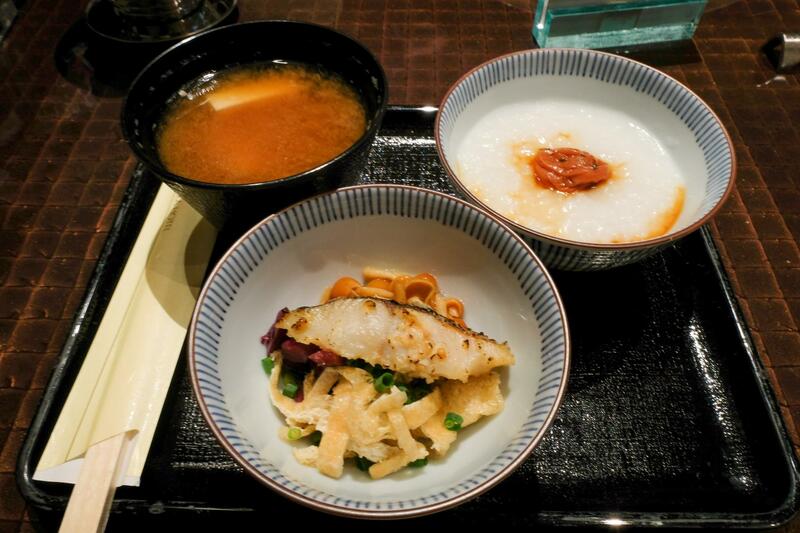 Otherwise my friend would’ve really loved to try their kaiseki dinner. 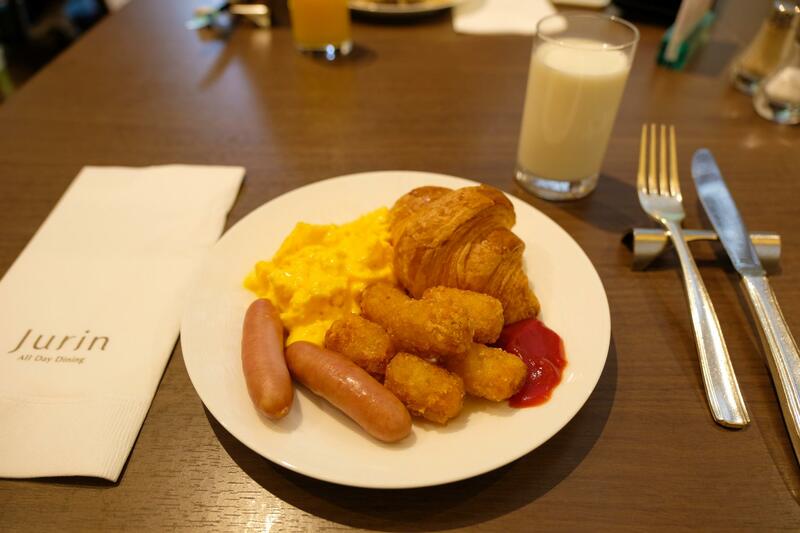 Nonetheless, we did enjoy breakfast at their breakfast buffets. 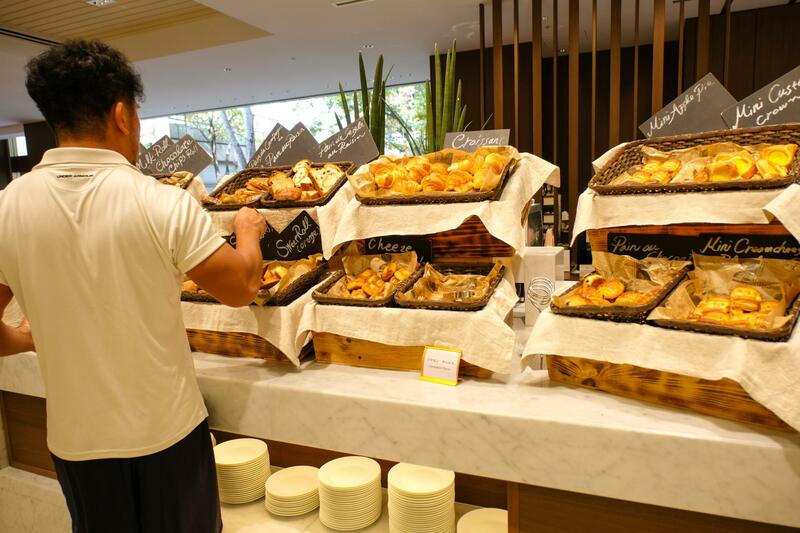 Whether you’re a croissant type person or you prefer waking up to a nice hot bowl of porridge, Keio has got you covered from Western to Japanese cuisine. We received complimentary access to Luxe Lounge, which is only for Executive International Club members and designated Plaza Luxe/Plaza Premier guests. Drinks and snacks are provided and they even have books and magazines if you need to pass time. 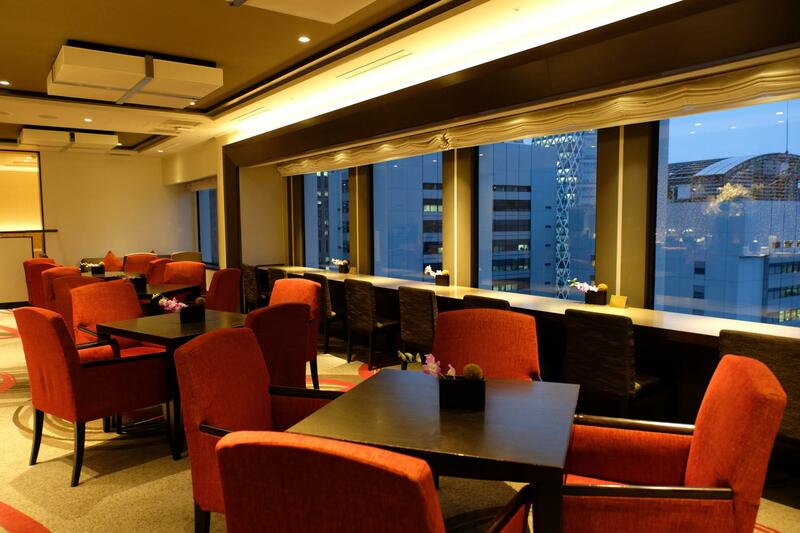 For regular guests, Keio’s Sky Lounge has astonishing panoramic views of the Tokyo horizon. There is also an Art Lounge where you can enjoy desserts or a Lobby Lounge if you’d like a light meal to go with your cocktail. OR if you’re into drunk karaoke, there is Karaoke47 on the 47th floor. 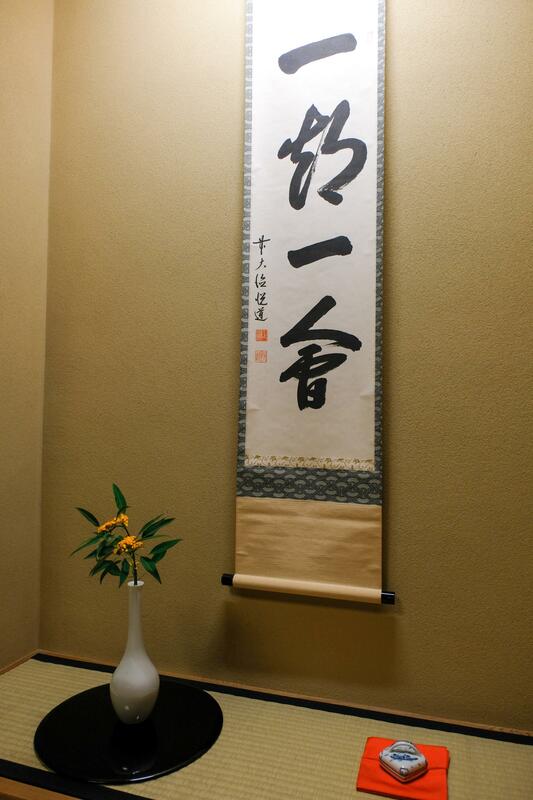 When it comes to amenities, Keio provides all kinds services that you could think of. The obvious pool and gym are a must but what’s really convenient are its shops and convenience store as well as currency exchange ATMs. This is especially great in the winter when you need something but don’t want to walk out into the cold or say it’s late at night and you are craving for some snacks (the convenience store opens 5:00AM to 2:30AM). 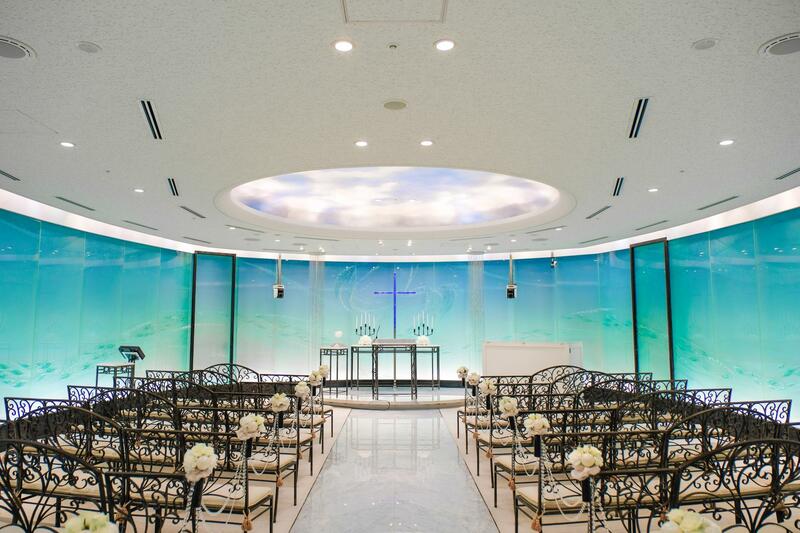 We also toured the Wedding Ceremony Hall. 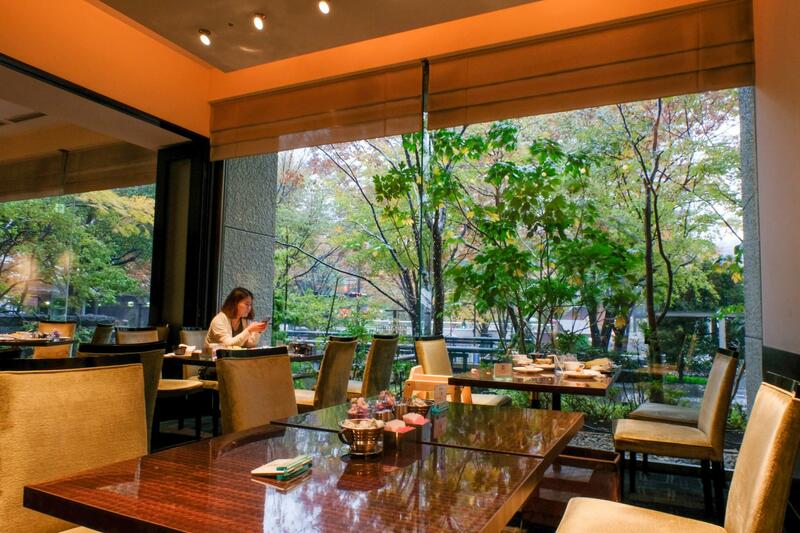 Keio has quite a few banquet rooms and often hosts wedding ceremonies on their hotel premises. That said, they provide beauty studio and photo studio services as well! 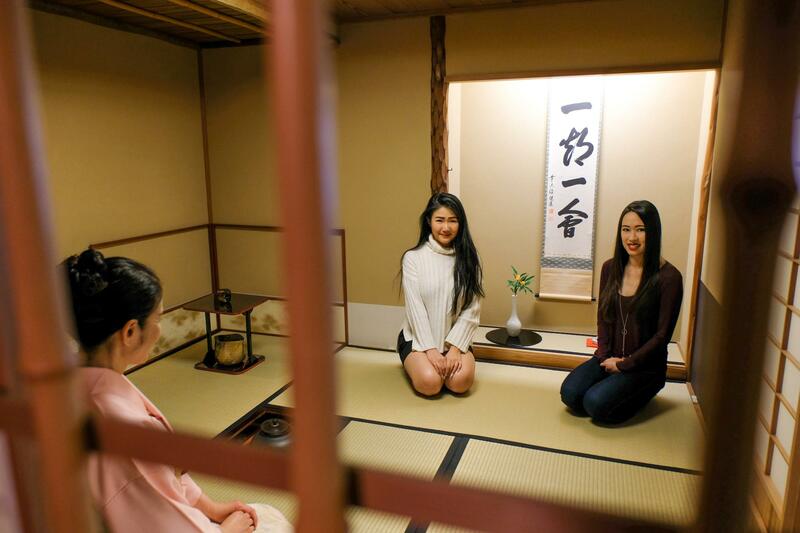 Keio was very kind and hospitable that they even hosted a traditional Japanese tea ceremony for us. 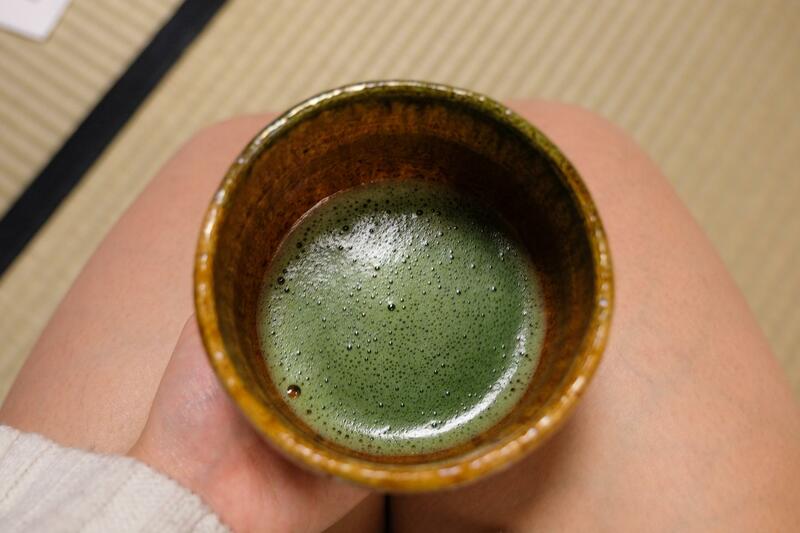 I did an exchange back in high school to Aichi Prefecture and experienced a tea ceremony as well but it definitely didn’t compare with this one. The tea master explained everything in depth from how to enter the tea house to how to enjoy the tea and the meanings of the tea cups used. It was such an elaborate process and a beautiful and cultural experience. Japan’s younger generation nowadays don’t really know the way of tea anymore. Needless to say, it’s very rare to find a master with such great knowledge and one who takes pride and joy in sharing this art. Highly recommended! 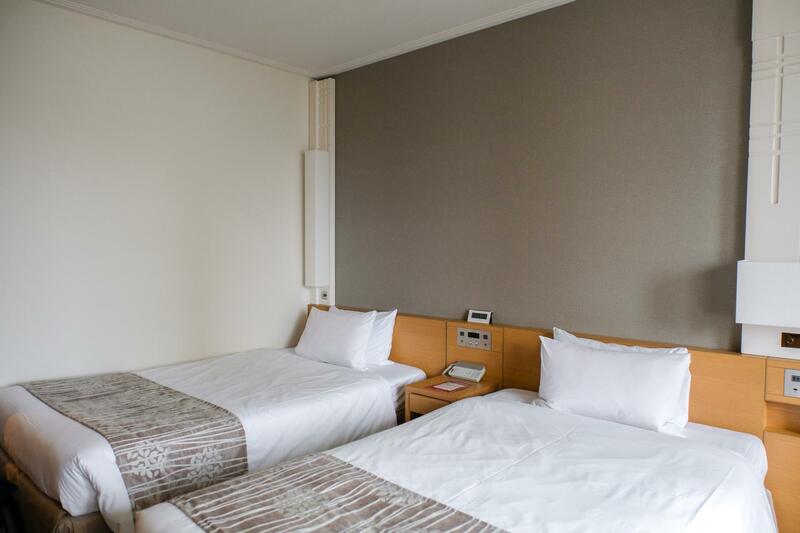 – If you are visiting Tokyo for the 2020 Summer Olympics, Keio Plaza Hotel is situated right across from Tokyo Metropolitan Government Building! And there you have it! 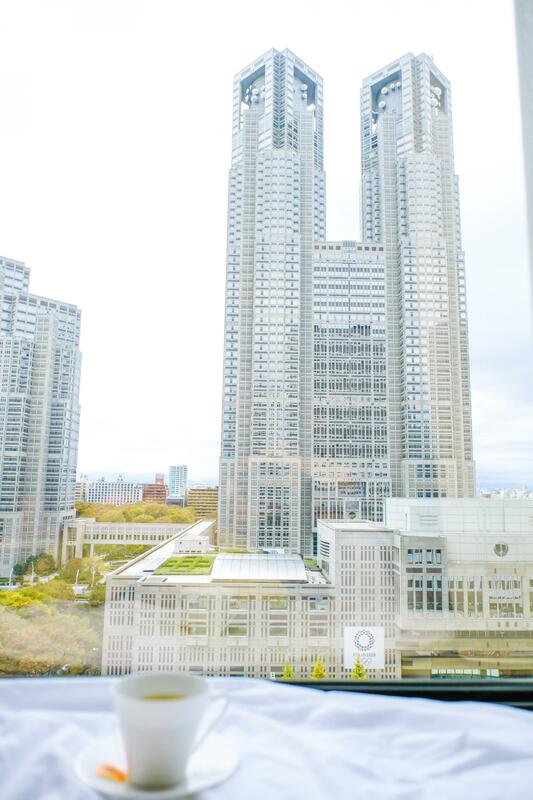 My complete Keio Plaza Hotel Review! Like what you see? Check here for availability and book today! 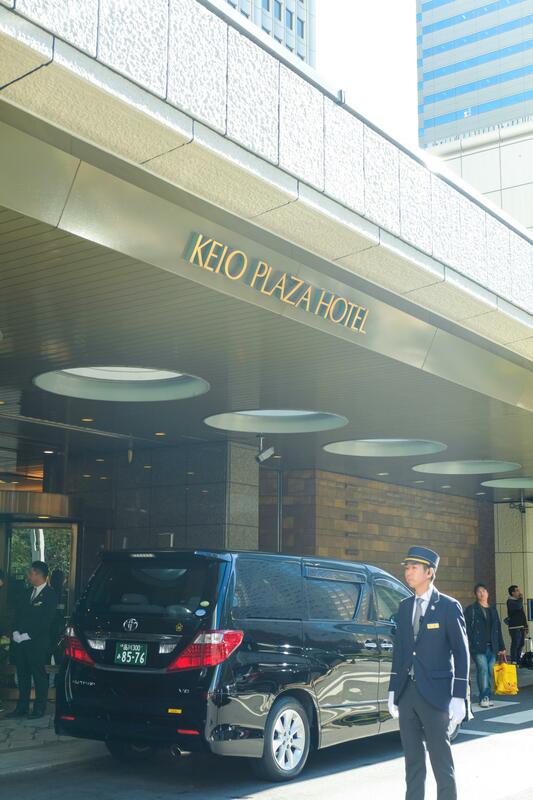 Please note that we were welcomed as guests at Keio Plaza Hotel. I had the pleasure of working with them but all opinions are of my own. I can honestly say we enjoyed a fabulous time here. Not to mention, I would 100% for sure return again because of how satisfied I was with my stay! Thanks for tuning in and see you in my next post! Please note that I was given a special media rate for my stay. However, all opinions are my own and I genuinely enjoyed my time here and recommend staying with them. This post contains affiliate links. Hope you are feeling better ! What a great detailed and complete review! What an interesting concept of having 4 bed/2bathroom rooms for families, I have never seen this before. And I love the fact that they have handicap friendly rooms/bathrooms as this is something that you dont see much in Asia (at least in my experience). Very unique property! Thanks Claudia, glad you enjoyed it! The handicap rooms really captured my attention as well. It’s great that they pay attention to the specific needs of each and every client. Cheers and have a great day! This looks like a beautiful hotel! 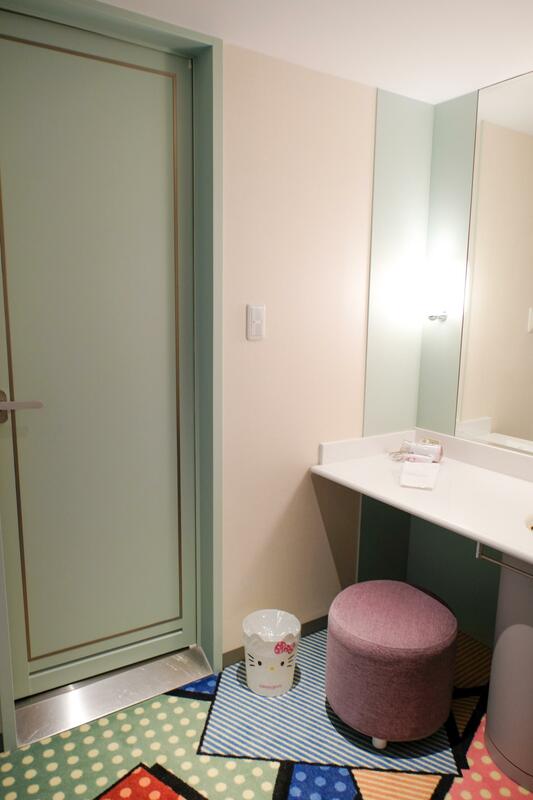 I wish I had known about it before booking our accommodation in Tokyo. The Hello Kitty room is hilarious! 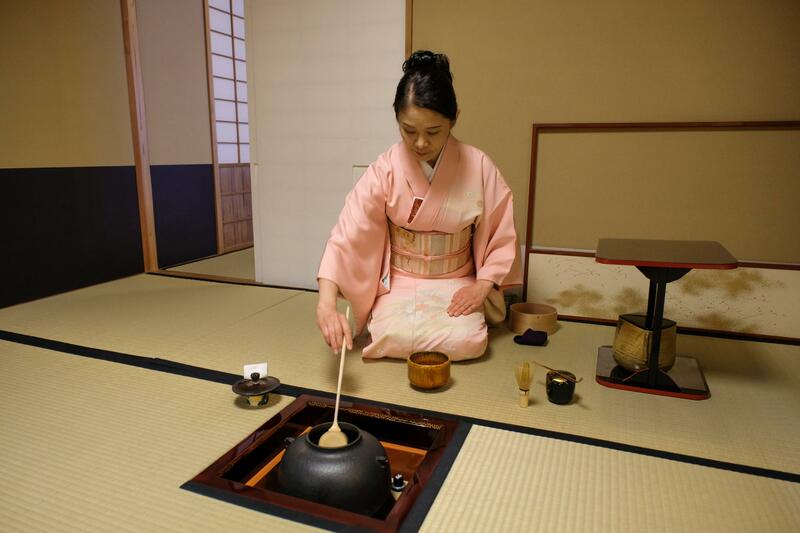 Also – the tea ceremony looks so lovely, I’m dying to have some mochi now! Awww well when are you headed over!? I’m sure you’re gonna have a fabulous time regardless. 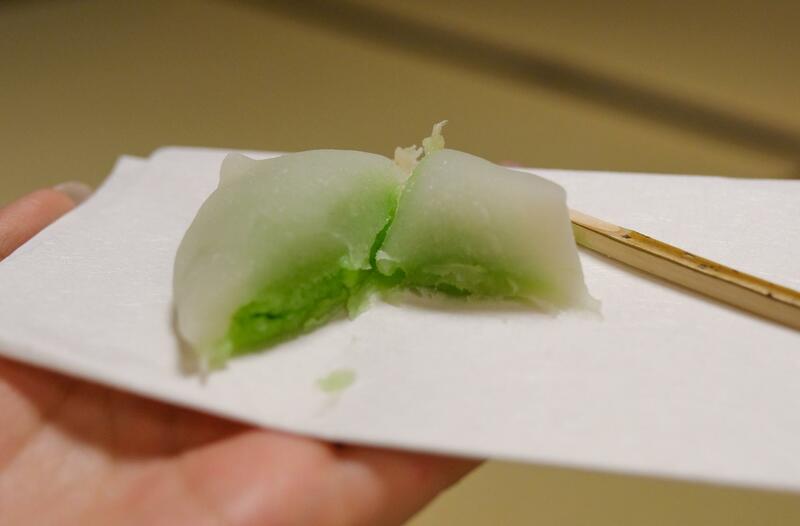 Ughh yessss Japanese mochi is THE bomb! Can’t wait to see your photos for when you visit!! Hahhahahahaa that’d be awesome if you stay there. Please do let them know that I made the recommendation! And I know eh Japanese folks are crazy about details. Cheers and have a great week! Excellent review with awesome photos! Thank you! Thank YOU, Cecilia! Glad you enjoyed the review. Thanks so much stopping by, Christine! 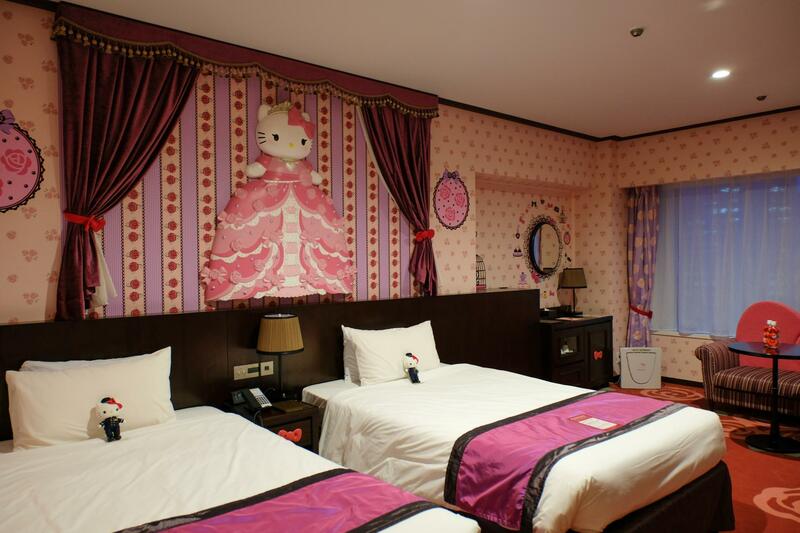 I’m not a big Hello Kitty fan but I can definitely imagine other girls just going crazy over that Hello Kitty room. Cheers and have a great day! Looks like an amazing spot to stay. I think I could manage feeling a little lost for all of the wonderful amenities! The Hell Kitty room is adorable! Exactly my thoughts! There was so much to do at the hotel it was almost overwhelming haha. Thanks for stopping by Sharon, have a fabulous day. Looks like you had a great time, will certainly take these tips with us! Nice Hotel! 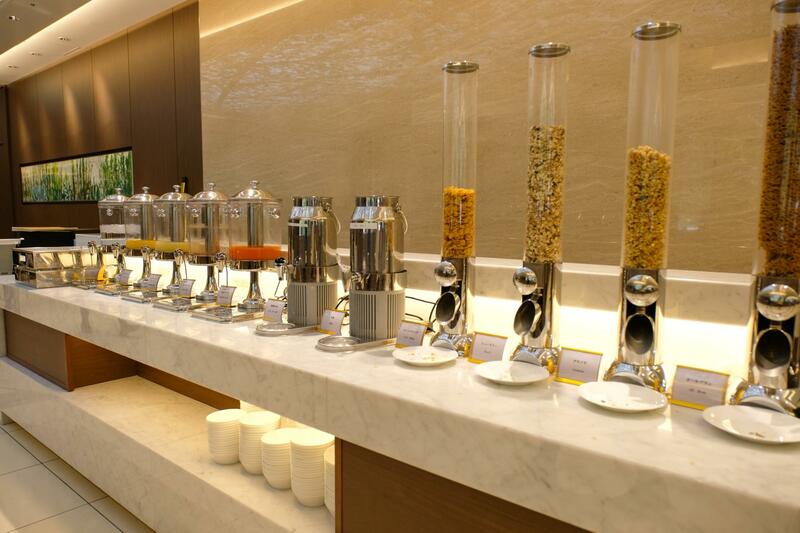 Are snacks and drinks (including alcoholic ones) free in the Luxe Lounge free for eligible guests?